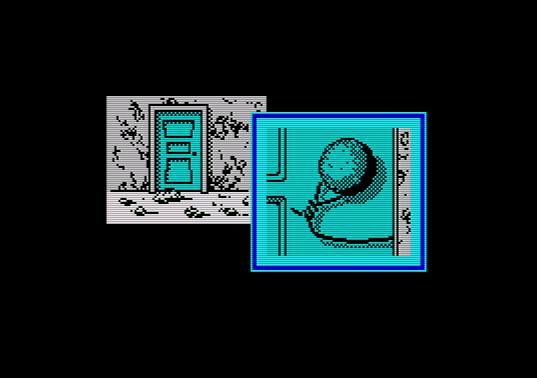 Back in the days of the ZX Spectrum (which regular readers will have gathered by now was the computer I started-out playing games on) I only remember spending a lot of time on one text adventure. I played others, I remember playing The Hobbit a couple of times and there was another one called Kentilla which involved a lot of fighting with creatures called Urga-mauls one of whom had a “nasty knife” and a sword that magically appeared in your hand when you said it’s name; I also spent a little time with Sherlock, a buggy game based on the famous detective (and which had a character who called you a “bloody snob”, I was shocked!). Who has a golden eggcup? Alan Sugar, probably. 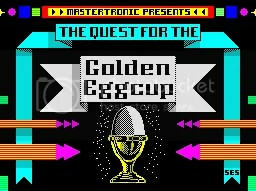 The only text adventure I can recall spending a lot of time with, though, was Quest for the Golden Eggcup, a wonderfully silly fantasy game by some chaps called Smart Egg Software wherein you were sent to the afterlife to retrieve the eggcup of the title. I spent ages on it, found two of the three eggcups needed and only found out where the third one was in the age of the internet when I could finally read a solution (and it was a bugger of a sneaky puzzle too). If we’re going to be honest, it also pretty-much made me love the whole text-adventure genre which is why I returned to it (now being called “interactive fiction”) in the late 1990s. And I’m hooked all over again. Please, won’t someone give me a hint about that stupid bucket at the bottom of the well, or the cube, or the curtain of light or…argh!